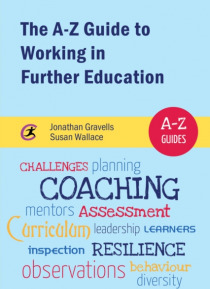 This book is designed to support professional development in Further Education at all levels, from the trainee teacher to the experienced team leader and those who have, or aspire to, a middle management role. The A-Z format ensures the book is both comprehensive and easy to use, while a list of key themes, from Being an excellent teacher to Making the most of change, enables the reader to navigat… e the material in a range of ways.Its novel design, based on a fictional college, complete with organisation chart and lively stories and vignettes, ensures the text's practical relevance. The stories follow teachers and managers through a series of everyday encounters and experiences, making the text accessible and enjoyable to read as well as providing characters in roles to which the reader can relate at each stage of their career. It is a text that will travel with the reader as they develop professionally, continuing to provide relevant insights, examples and ideas.